WELCOME / Whites Physical Therapy Services! At White’s Therapy Group, our mission is to provide exceptional, progressive and cost effective rehabilitation services through personalized care that emphasizes functional independence for you. This allows you to recover quickly and resume your normal activities faster than ever before. 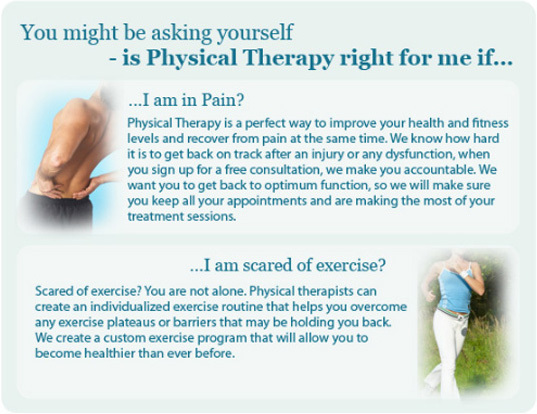 Keep in mind that you don’t pay us a dime unless we consider you to be a candidate for physical therapy. When we do, we will assist you to obtain reimbursement from your insurance provider and help you get a prescription from your doctor. You will get a professional caring physical therapist coaching you to be sure you’re giving 100% and doing the exercise properly and effectively. Director Douglas E. White MSPT, L/ATC, CSCS Doug earned a Masters Degree in Physical Therapy from the University of Miami, School of Medicine in 1993 and received his Strength and Conditioning Certification after volunteering under Mike Boyle at Boston University Strength Gym in 1996. Doug achieved certification as an athletic trainer in 1997 after volunteering at Harvard University. He was a member of the medical staff for The Boston Marathon for ten years as well as the U.S. Disabled Volleyball Team at the Tenth Paralympiad in Atlanta, GA in 1996. Doug has also provided medical support and conditioning information for the US Disabled Volleyball and Ski Teams. Most recently, he was Sports Medicine Director for USA Skeleton at the 2002 Olympic Winter Games, where his athletes won one Silver and two Gold Medals. Our program helps you to increase your motion, improve your strength and agility, and feel good doing all of your activities.